When you need an electrician in Kawana who is experienced, fast and affordable, look no further than Phil Wilshire Electrical. Our team prides itself on prompt, reasonably priced services that caters to our customers’ need with ease. Since 1999, our electricians have been providing a wide range of electrical services to residential, commercial and industrial properties. 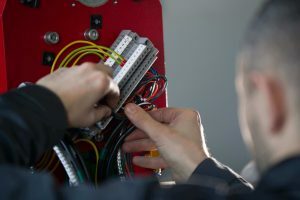 Over this time, we have adapted ourselves with the changes in the electrical industry, and are constantly expanding our knowledge and skill set to match the growing electrical service needs. At Phil’s Wilshire Electrical, we have continuously strived for excellent service that our customers would be happy to use again. With many return customers and referrals to show for our efforts, we are certain we can handle jobs of all sizes efficiently and affordably. At Phil’s Wilshire Electrical, we are able to complete any job. We have worked to specialise in solar panel installations and PV systems, as well as electrical repairs and fittings. With 36 years in the industry, we have a world of knowledge and skills to fall back on, and this allows us to be confident in the work we do. For any information about the full range of services we provide, or for advice on your electrical needs, feel free to call us today. To find out more about what we can provide, please browse our site to discover our available services. You can also get in touch with us directly by calling (07) 5491 3911 and we will happily discuss your needs and provide you with a quote. 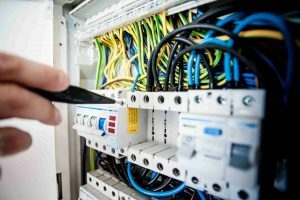 Phil Wilshire Electrical are the team that can help you with any electrical problem, with our extensive history in the industry we have the tools and knowledge to complete any job. Our services extend to a variety of neighbouring suburbs, including Buderim, Maroochydore and Caloundra.